UPDATE: Knife Rights’ IL Switchblade Ban Repeal Passed Call/Email Gov. Today! Knife Rights’ bill to mostly repeal Illinois’ switchblade ban, SB 607, was passed today in the House by a vote of 61-45. It now goes to Governor Rauner for his consideration. If you live, work or travel in Illinois, please email or call the Governor and ask him to sign SB 607. Click here to Email the Governor via Knife Rights Legislative Action Center. Congratulations to our sponsor Rep. Brian Stewart on his success in shepherding the bill through the House. Thanks also to our Senate sponsors, Sen. Tim Bivins, Neil Anderson and Dan McConchie. Together we are forging a sharper future for everyone in Illinois. SB 607 allows possession of automatic knives by those who have a Firearm Owner’s Identification (FOID) Card, which allows the individual to purchase firearms and ammunition. This is not a possession with CCW bill, as some have suggested. The bill also allows for manufacture and sale of automatic knives by those not holding a FOID card. Illinois currently has a complete ban on switchblade (automatic) knives, including manufacture and possession by anyone. Illinois was the last state to allow concealed carry of firearms, in 2013, and remains one of the most restrictive states in terms of Second Amendment rights. 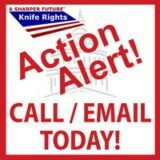 Knife Rights’ bill to partially repeal Illinois’ switchblade ban, SB 607, was passed out of the House Judiciary – Criminal Committee unanimously with a “do pass” recommendation. The bill iis now eligible to be voted on by the full House. It was earlier passed unanimously by the Senate. Knife Rights Chairman Doug Ritter gave testimony at the hearing. Thanks to the 240 of you who took the time to submit a Witness Slip in support of the bill. That support was key to the bill getting out of committee yesterday. 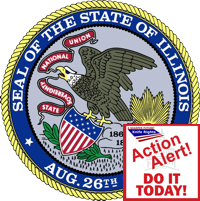 Illinois Switchblade Ban Repeal Hearing Tuesday – ACT TODAY! 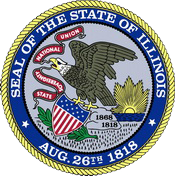 Knife Rights’ bill to partially repeal Illinois’ switchblade ban, SB 607, is being heard next Tuesday by the House Judiciary – Criminal Committee. If you live, work or travel in Illinois, please fill out a Witness Slip form supporting the bill. First, CLICK HERE to go to the Committee Hearing page. The Witness Slip page will open. For “Title” type “Mr” or “Mrs” or “Ms” or pretty much whatever you want, but keep it clean. Fill out the CAPTCHA box, then CHECK the BOX for “I Agree to the ILGA Terms of Agreement,” and then CLICK the “Create(Slip)” button in the lower right-hand corner. If you want to attend the hearing in person, it is being held on Tuesday, May 9, starting at 2:30 PM in Room 122B of the Capitol Building in Springfield, Illinois. and you could WIN YOUR CHOICE from OVER $200,000 in Knives, Guns and More!